To discover the world of Maori, take a visit to Wairakei Terraces. 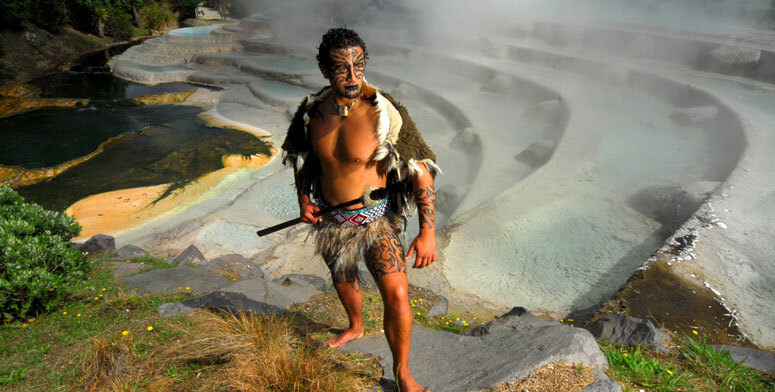 Watch a performance of Maori song and dance (including the formidable Haka) set to a background of natural geothermal activity and 'step back' into the ancient past to experience a traditional Maori village. You will also find a number of studios in the Taupo area selling traditional (and contemporary) Maori art and sculpture - such as beautiful Pounamu (New Zealand Jade or Greenstone) sculptures or intricate bone carving necklaces.